Charlie's Roof Cleaning is a family-owned and operated company, committed to providing residential and commercial clients with exceptional service and results. We offer power washing services as well as non-pressure roof cleaning work. We believe in going above and beyond the "customer is always right" philosophy. This dedication to our clients is what has earned us recognition such as not just an A rating on Angie's List, but also a Super Service Award from them as a Long Island pressure washing and roof cleaning company. 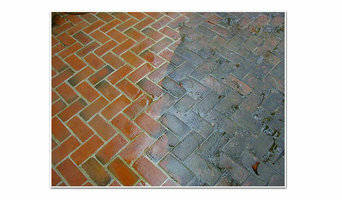 Call today so we can begin taking care of your essential exterior cleaning service needs. What do East Hampton, NY exterior cleaners do? Find exterior cleaners in East Hampton, NY on Houzz. Search the Professionals section for East Hampton, NY exterior cleaners or browse photos of completed projects and look for the exterior maintenance professional’s contact information.